A tree inventory is a comprehensive record of the trees on a given property, including a wealth of information that can be referenced for future tree care issues that may come up. Ultimately, this is the true value of having a tree inventory done: it streamlines the overall management of a landscape and makes future work more efficient. It’s also a great way to spot potential issues and prevent them before they arise. Since every landscape is different, we tailor our tree inventory services to the specific needs of our customers, whether it’s for a single dwelling or an entire commercial property. 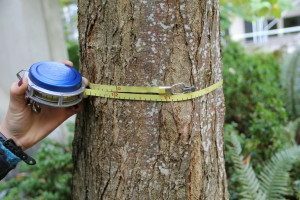 After doing a thorough inventory of all the trees on a property, we are able to provide an assessment, as well as recommendations, as to which steps should be taken next. This can be tremendously beneficial–especially as a cost-saving measure–if you have a property that requires regular monitoring and upkeep. Need a tree inventory done for a commercial or residential property in Santa Cruz or Monterey? Call us today at (831) 508-8995 to find out how we can help! We have certified arborists standing by to answer your questions and are happy to provide FREE cost estimates to all customers!